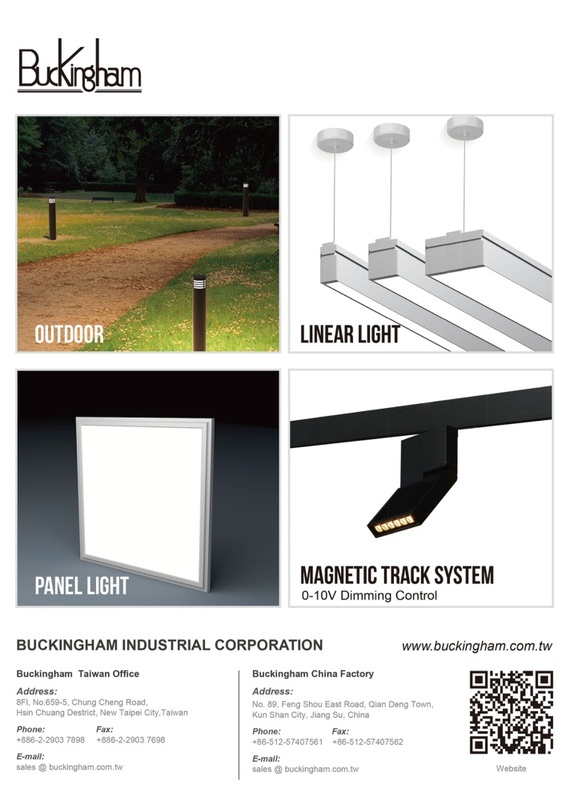 With more than 25 years of experience in the field of lighting fixture, Buckingham has been a well-known manufacturer by focusing on the design and production of both commercial and residential lighting, specialized in led lamp, led light, down lightings, track system, spot lights, energy saving light, pendent and wall light. Our goal is to provide you the best products and services. We believe the key to be successful has to focus on innovation. Therefore, we never stop designing and improving our products and keep adopting new hardware and software to increase our capacity. Supported by our vast industrial experience and advanced technology, we are confident that we can offer the best solution in lighting industry. If you need further information about our contemporary light fixtures, please don't hesitation to contact us and we will reply you as soon as we can.